The digital advertising space is one that was meant to revolutionise advertising away from the smoke filled offices of the 1950s, but instead it has become a breeding ground for greedy middlemen. Advertisers and content publishers face a quagmire of convoluted proprietary placement platforms that are easily manipulated and inefficient. However, Blockchain technology is aiming disrupt this industry as it has many others. MadHive has set its sights on trying to clean up the advertising space, eliminating all the inefficiencies and money-drains that hang out between the content publishers and advertisers. Within the MAD Network, there is no need for intermediaries, and no need for their easily swayed proprietary ad placement services. One of the biggest issues in digital advertising is the software that automates the matching of advertisements with open publisher inventory. This is not as fair and equal as it sounds because these platforms, as they stand, operate in somewhat of a walled garden. Platform owners, as opposed to content publishers or even advertisers, have full control over all of the data and value being exchanged throughout the advertising supply chain. Inside the MAD Network, solutions exist for payments, ad serving, ad exchanges and data management. 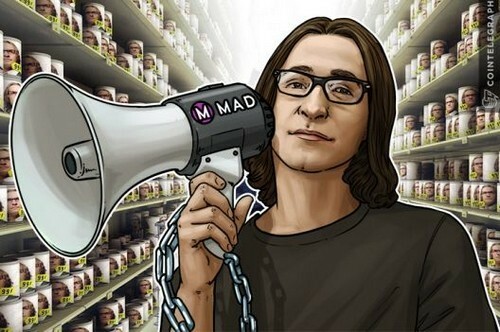 MADnet Books: The Blockchain-based payment rail that allows network participants to exchange value within the network is MADnet Books. It is not just for transactions, it adds in a high level of transparency, enables decentralization, and keeps a record of where all the dollars are being spent. The MAD Network will have its own token to facilitate this process, MADtoken, which forms an economy integral to the new advertising platform network. MADnet Data: Within digital advertising there is a large amount of data that is transmitted and exchanged within an ad network. Formerly, this content would also have been snapped up and owned by the platforms, but these middlemen disappear with the entrance of a Blockchain. This important and valuable data now becomes a usable commodity rather than a valuable by product that is siphoned off by the owners. Within the MAD Network, MADnet Data will enable advertisers and publishers to share data about ad performance and engagement directly with each other, in a secure, peer-to-peer fashion regulated by permissions and access control. MADnet Core: Finally, there needs to be some matching of advertisers and publishers when it comes to getting advertisements in front of targeted audiences. MADnet Core is a new proof-of-real-work Blockchain that will decentralize both the ad serving and ad matching functions. This Blockchain layer will aim to provide complete transparency for ad matching events within the network. Disclaimer.Cointelegraph does not endorse any content or product on this page. While we aim at providing you all important information that we could obtain, readers should do their own research before taking any actions related to the company and carry full responsibility for their decisions, nor this article can be considered as an investment advice.